With only two weeks remaining before the formal release of Windows 8, Microsoft on Tuesday rolled out a major update or its operating system that is said to provide improvements in performance, power management, battery efficiency, media playback and fixes general compatibility issues. The update, which also includes a handful of bug fixes, will be available for users having early versions of the OS - mainly MSDN and enterprise customers. The general public has to wait until October 26 in order to get the updates. Sinofsky further said that the updates being rolled out are ones that might normally be featured in Windows 8's first service pack. "[But] during the final months of Windows 8 we challenged ourselves to create the tools and processes to be able to deliver these 'post-RTM' updates sooner than a service pack," he wrote. 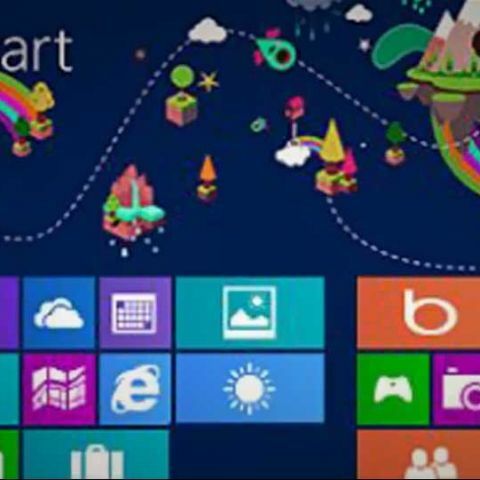 The update to Windows 8 OS comes shortly after the company updated for some built-in apps in the platform. Microsoft rolled out update to included the Skydrive, mail, messaging, photos, maps, news, travel, weather and Bing apps. The Bing search app is the first to receive the update, while others get the updates in a staggered fashion till the 26th of October. Find out more about apps getting updates here. Besides app updates, Microsoft has made quite a few other changes as well for the Windows 8 platform. The company has replaced its traditional Points system for payments with direct payments. The change is currently only available on Zune Marketplace for movies and songs; but is expected to roll out for others app stores such as Xbox 360 marketplace as well.